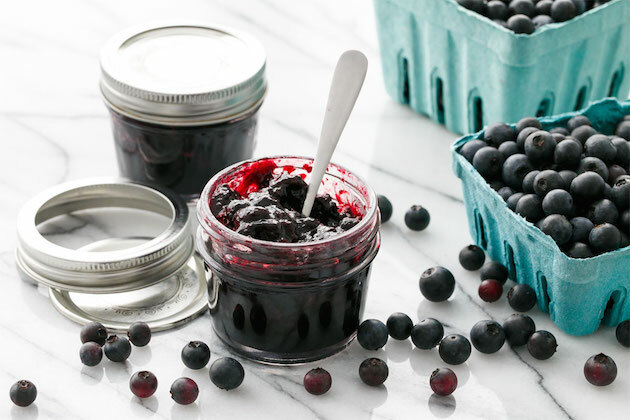 It’s still hot here in Atlanta but now that peaches, blueberries and sweet corn have seen their best days, I’m beginning to think about fall foods. Greens top that list. Leafy green vegetables are a collective bunch of nutrition rock stars. With just 5-40 calories per cup, leafy greens serve up iron, vitamins A, C and K and compounds known to fight heart disease, some forms of cancer and even age-related macular degeneration (eye disease). Chances are you’ve eaten spinach, cabbage and kale but are you meeting the 1½ cups of leafy greens per week recommendation? That’s the minimum by the way. If you’re not meeting the mark, here are a few options to try. Chard is in season and tastes best during the warmer months. Look for it in the produce aisle as Swiss chard, rainbow chard or red chard. Because it is a tender green, chard is perfect raw – tossed into smoothies, salads and sauces. It’s also delicious lightly sautéed with garlic, olive oil and lemon. Collard greens are a southern staple packed with fiber and calcium. A hardy green, collard greens require a little longer to cook. 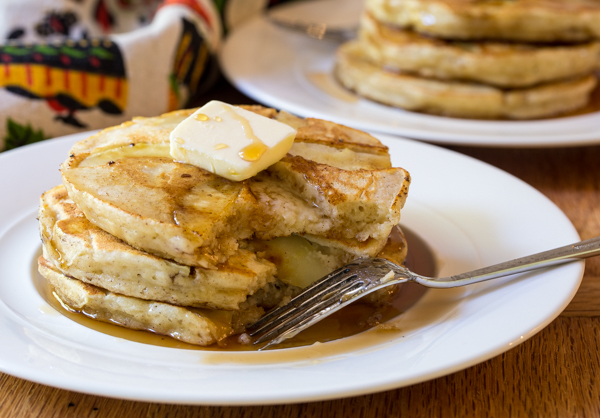 Pair with apple cider vinegar to help soften collards’ bitter bite. Add collards to soups and stews or use as a wrap instead of a tortilla. With the waning enthusiasm surrounding kale, collard greens are poised to take the spotlight. Mustard greens deliver a spicy, peppery bite. They cook quickly. Spice up salads with raw mustard greens or steam them for a quick side dish. Mustard greens are in season and taste best during the cooler months. So step out of your comfort zone and take a new look at the produce aisle. Try arugula, escarole or be really adventurous and take home a bunch of dandelion greens. This Crunchy Chard Slaw shows just how easy adding more leafy greens to your life can be. I opted for chard but cabbage, kale or thinly sliced collard greens would all work well in this recipe. Start with clean, hardy greens. Remove any large, tough stems, stack the leaves and roll them up to prepare for shredding. 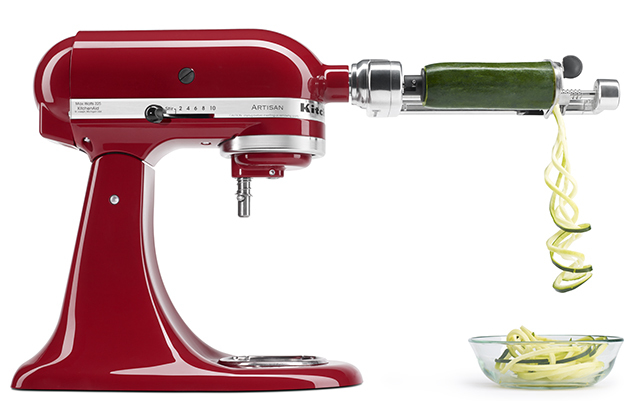 I used my KitchenAid® 7-Cup Food Processor with the ExactSlice™ system to create thin ribbons for the slaw. Thinner slices allow the vinaigrette to break down the fiber of the greens (translation: you’re not left chewing forever!). It also works well to shred carrots. Gather all ingredients to assemble the slaw. Bag and store leftover shredded greens in the refrigerator crisper. Use the greens as the base for a salad, topping for tacos or sautéed as a side dish. They are ready to go when you are. This slaw is tangy and fresh with a welcome crunch from carrots and toasted pumpkin seeds. I used a red wine vinaigrette but add your favorite salad dressing to complement the greens. 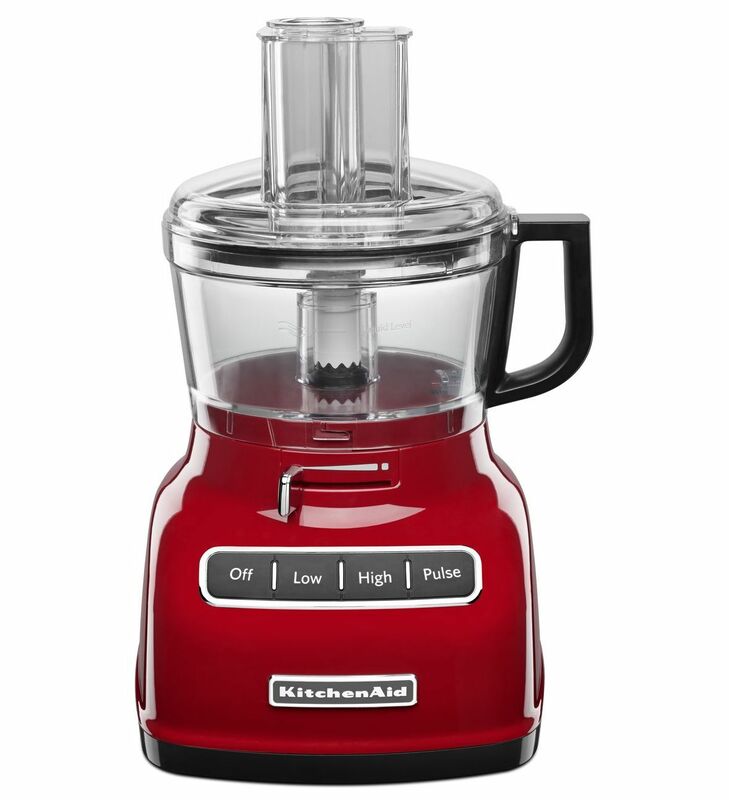 Shred the chard and carrots using the KitchenAid® 7-Cup Food Processor. Set aside. Make the vinaigrette: whisk together 1/2 cup olive oil, 1/4 cup red wine vinegar, salt, pepper and 1 tablespoon of dijon mustard to bring it all together. Toast the pepitas: Heat the pepitas over medium heat in a skillet until lightly browned. No oil. Watch closely. They burn quickly. 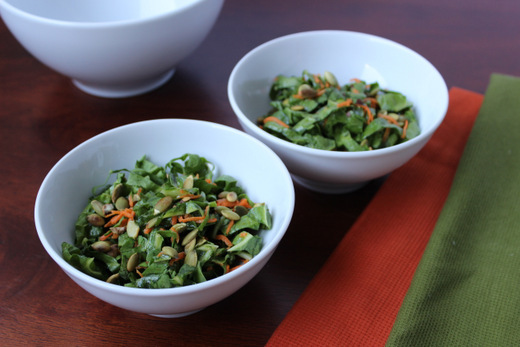 Assemble the salad: In a large mixing bowl, combine the shredded chard, shredded carrots and vinaigrette. Toss gently to coat. Plate the slaw. Top with toasted pepitas. Serve immediately.